After title shot loss to Tyron Woodley via D’Arce choke at the main event of UFC 228, Darren Till announced he’d move to Middleweight. Jorge Masvidal recently challenged Till on Twitter. “The Gorilla” seemingly accepted it. 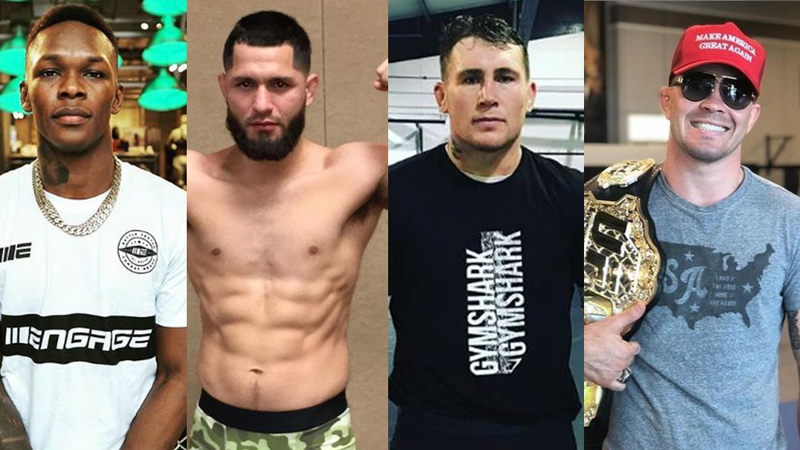 Darren Till is interested in a fight versus Jorge Masvidal first. Then he thinks of meeting Colby Covington, but only if “Chaos” is “brave enough”. “Chaos” won UFC Interim Welterweight title by defeating Rafael dos Anjos at the co-main event of UFC 225. But he was unable to fight Tyron Woodley at UFC 228 due to nasal surgery, so he was stripped. Covington was the first in line to fight “The Chosen One”, but despite the two went back and forth on social media for a long time, UFC set Kamaru Usman for a title shot versus Tyron Woodley at the co-main event of UFC 235. Usman defeated Rafael dos Anjos at the main event of TUF 28, and UFC was thrilled with his dominant performance versus Brazilian. Also, the Nigerian was willing to fight anyone on a short notice in January. These two things gave him advantage over Colby Covington. Read the tweet below. But “Chaos” didn’t take this friendly. He was furious and trashed “lying Dana White” and UFC. Darren Till agrees UFC played Colby Covington out. But Till also thinks Covington’s angry reaction just shows how soft he actually is. “Aside from the fact Colby’s a d*ckhead, I think he did deserve the shot because he did beat a lot of guys to get there and obviously he did win the interim belt and he was only stripped of that when I fought Woodley,” Till opined. “I’ll be honest, I think he’s scared to fight Woodley. I don’t think he wants the fight. I think he’s making out that he wants the fight but I don’t think he wants the fight. I think he wants to fight on his terms. That being said mate, it’s the UFC you’re talking about. There’s no terms negotiable. If they want you to fight, you have to fight unless you can come up with a good injury or excuse. It is how it is. The British striker has fantastic friendly advice for Colby Covington. If Darren Till decides to move up to 185 in the future, there is one fighter he’s especially interested in – Israel Adesanya. What are your thoughts on Till Vs Masvidal? Would you rather see Darren Till fighting Colby Covington or Israel Adesanya next?